The Fall Dance Concert at the J. Scheidegger Center will be held in the Lindenwood Theater for three performances, Thursday, November 8th through Saturday, November 10th. See website for more details and for ticket information. 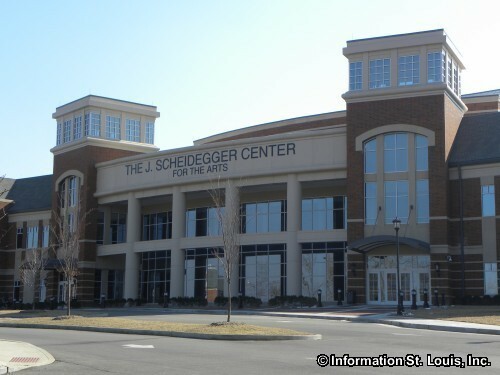 The J. Scheideggar Center for the Arts which is located on the campus of Lindenwood University in St. Charles Missouri. The Center has several venues. One is the Lindenwood Theater which is a Broadway style theater and the "main stage" of the Center. Another is the Emerson Black Box Theater which is a smaller, more intimate venue. The performing season at the J. Scheideggar Center for the Arts begins in September and runs through May. Directions: The J. Scheidegger Center for the Arts is on the campus of Lindenwood University on West Clay Street, just west of Capital Drive in St. Charles, Missouri.